So today we will talk about a very new online shopping website Topswedding (www.topswedding.com). Topswedding is a online store which offers wedding dresses, prom dresses, special occasion dresses and accessories also. You can get there dresses for every wedding category like for brides, bridesmaid, flower girl dresses, brides mother dresses. for special occasion like cocktail dresses, evening dresses, celebrity dresses, holiday dresses and so on. All the products offered by Topswedding are available in various styles, designs, colors and sizes also, so we ladies can buy dresses according to our needs of the occasion and taste too. They work on the basis of the principle “customer comes first, service is supreme”, providing their customers the best wedding dresses and the best service from their side. Let me tell you guys the prices of the products available at Topswedding is very less according to the stuff which they offer, plus you can rely on the quality of their products. 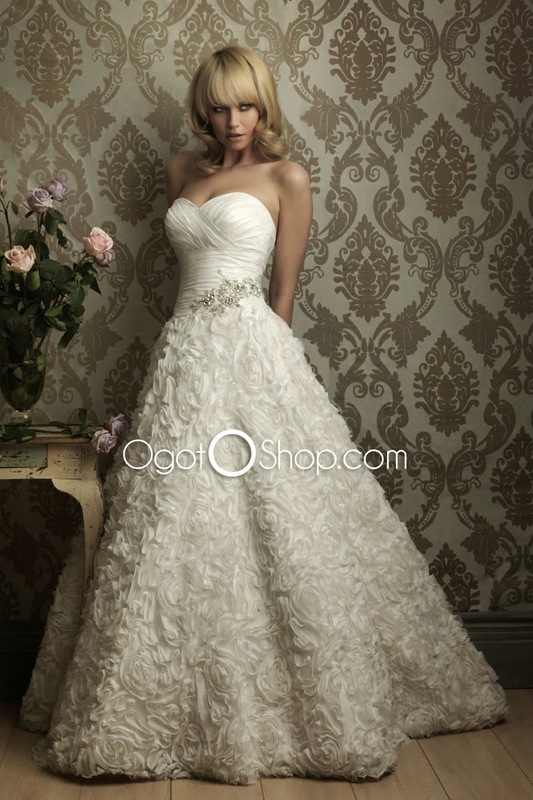 This lovely A-line wedding dress is very eye-catching because it is filled with full rose patterns. This lovely Prom Dress gives you a very smooth body line, if you are petite or short in height then this one is best for you. This lovely Celebrity inspired dress has a ball gown skirt which makes the dresser look more like a princess and it can cover the fat on hip and legs plus the belt on the waist becomes the focus.